It's more important than ever for IT and facility managers to focus on challenges like monitoring power consumption, managing power at the rack and data center cooling. This white paper explores the challenges of increasing computing power in resource-constrained physical spaces and data centers experiencing high growth. 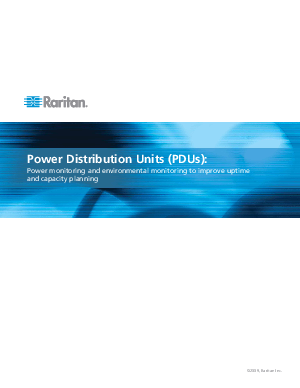 We also explore how intelligent rack PDUs can meet these challenges and address critical uptime and capacity planning issues.